You can't spend more than about two minutes inside of a church building without hearing the word "grace". 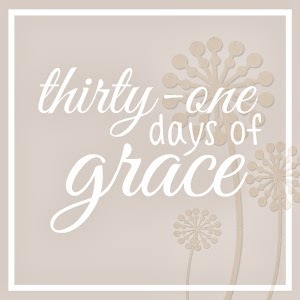 Between the songs, sermons, and even church slogans, grace is all over the place. And we even know what it means - grace is something we get that we don't deserve. But do we know what it means? Maybe you're like me. Maybe you were saved at an early age and your pre-saved life doesn't didn't look much different from your post-saved life. You were pretty good then, you're pretty good now. The idea of being totally depraved and in desperate need of grace is a little lost on you. I get it. I'm right there with ya. But let's establish this - even that one time when you were a "pretty good" kid and you lied about hitting your friend in the hopes that you wouldn't get in trouble - even that sin, that one seemingly tiny sin, was something Christ had to die for. So, no matter how "good" you were before Christ, you were still in desperate need of His work on the cross. And recently these illustrations have become very helpful in keeping the right perspective on my own need for grace. Anyone who has lost a loved one knows the sting of the finality of death. There is no chance our loved ones will be made alive again this side of Heaven. It hurts, but it is reality. Imagine, then, us as being dead just the same. Dead in sin. We had absolutely no hope of being made alive again. Except in Christ. Christ saw our lifeless, sin-filled body and chose to extend grace enough to bring us back to life through His redeeming work on the cross. And now, death has lost it's power and it's sting and we are no longer dead, but alive because of grace. Knowing this that our old man was crucified with Him, that the body of sin might be done away with, that we should no longer be slaves to sin. I hate the idea of slavery. The fact that it actually happened all throughout history and still happens today - people owning other people, forcing them to do hard labor (or worse), mistreating them, and them having no chance at freedom. It really makes me ill thinking about it. But, the parallel does work very well with regards to us being slaves to sin. Before Christ, before grace, sin owned us. We had no choice but to serve sin as our master. 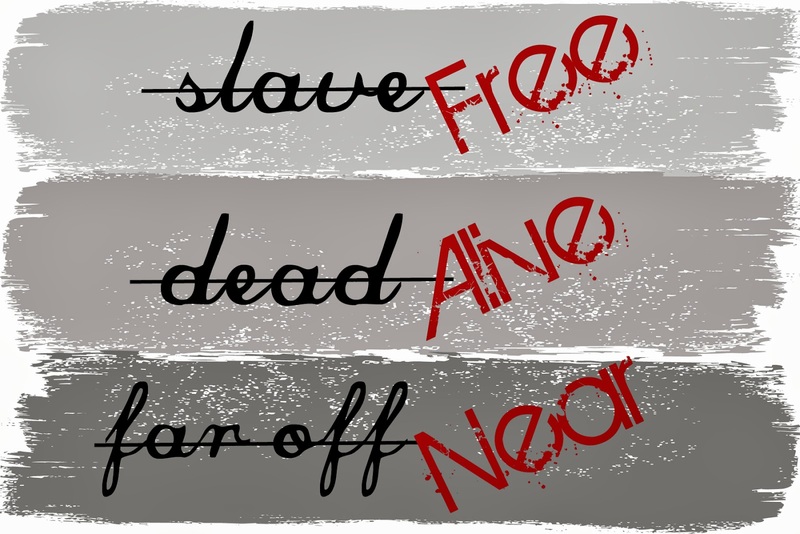 Sin certainly mistreated us and stripped us of freedom. We were stuck forever. But then Christ came and extended grace. He purchased our freedom with His blood. And now, instead of being enslaved to sin, instead of having no choice but to sin, we now have freedom to choose. Grace set us free. But you who were once far off have been brought near by the blood of Christ. This one might be my favorite picture of grace. I imagine the story of the prodigal son - allured by the wiles of the world, he left his home in pursuit of what he thought would bring him great happiness and contentment. Instead, he found himself low in the muck and mire of a pig sty. Finally, reaching rock bottom, the son decides to return home. And as he comes into view of his home he sees his father, waiting for him, watching for him, as he had been all these many days. And the father ran to his son and pulled him close and kissed him all over his sweaty, dirty face. To me, that is a glorious picture of us who were once far off being brought near by the blood of Christ. We were stubborn in our attempts at independence and we made a big mess of it. And when we finally realized this wasn't the ideal situation for us (understatement of the year), Christ was ready to welcome us with open arms. He pulled us in and made us near to His heart. Grace was waiting to embrace us despite our rebellion, our far-offness. Slaves, dead bodies, far and rebellious wanderers - these were us before Christ, before accepting the grace He so mercifully extends to everyone who will believe. And now? We are free, we are alive, we are near to His heart. And sin might have little victories, but, because of grace, it will never triumph. And sin shall no longer have dominion over you, because you are not under the law but under Grace. Amen. I love that graphic at the end... so powerful! Thank you for doing this. I have been feeling overwhelmed, tired, fearful and lost. Your posts have been so helpful to me!